Hahaha, thank you! If you don't mind me asking, why did you leave WoW? Thank you, couldn't wait to do these. I'm afraid this ones a bit long. After returning to WoW I decided to have a massive makeover of my stables. I am saying goodbye to many companions but I'm also looking to tame newer ones. Since I tamed Tipsy I've started looking for pets that are ... different and especially brightly coloured. If you told me a few months ago that this would end up with me taming two mechanostriders I'd have laughed in your face. 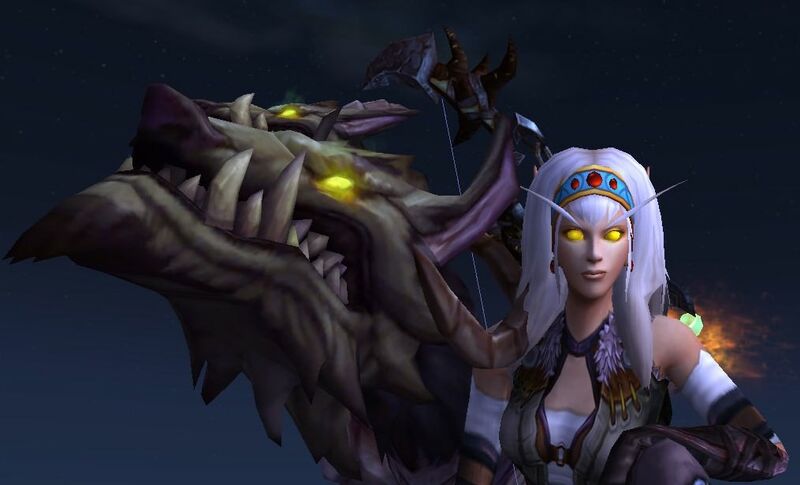 I started playing WoW in 2011 as a Night Elf Hunter. 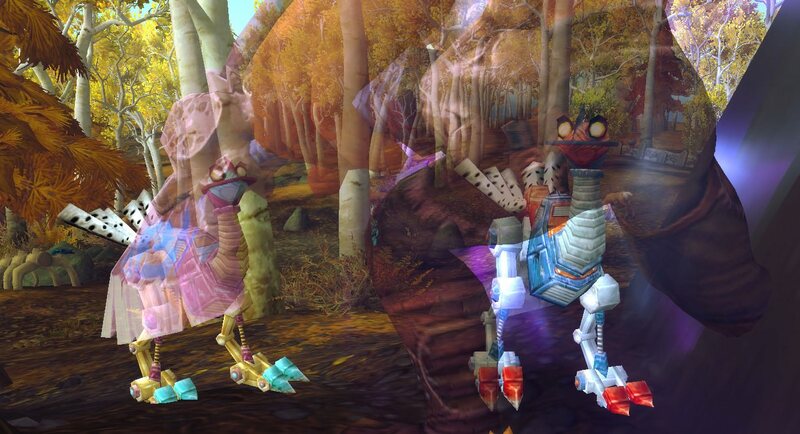 I had a thing for collecting mounts so I had to get every Alliance race mount possible, even the mechanostriders which I absolutely despised. They just looked so stupid to me and worst of all they were machines - not real animals. Fast forward to a few days ago I decide to give them a chance. 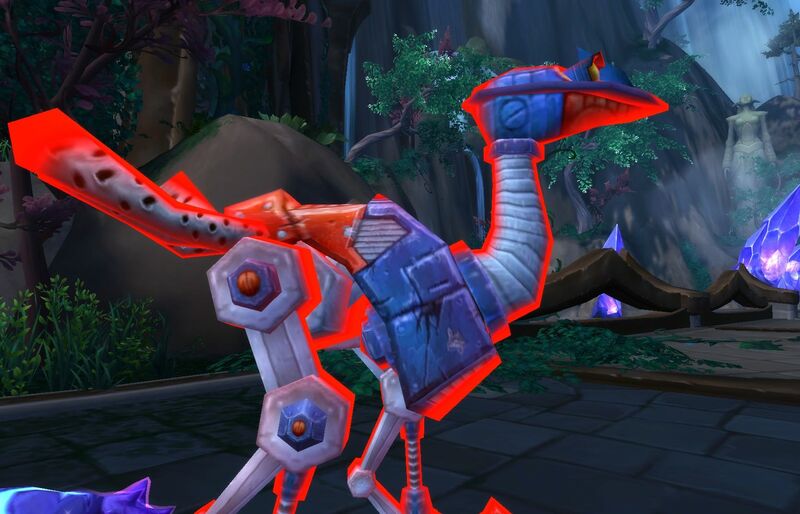 A Mechanostrider as a pet? It's so stupid and weird to me still. And they are weird. They look. so. frickin'. weird. 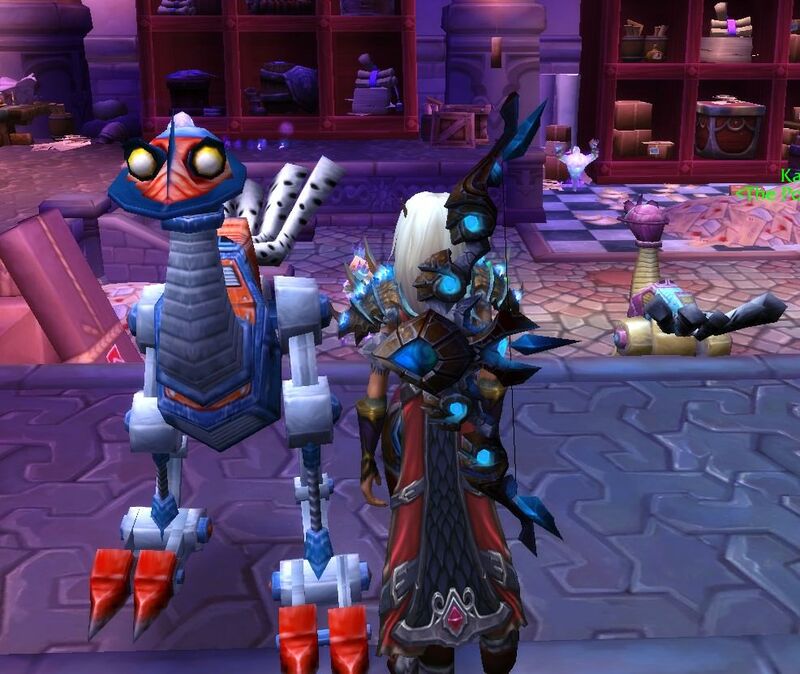 I can't express how weird it is having a Mechanostrider legging it after you all the time. Anyway, I felt obligated to tame Optimo purely because I love blue and red and he is blue and red. 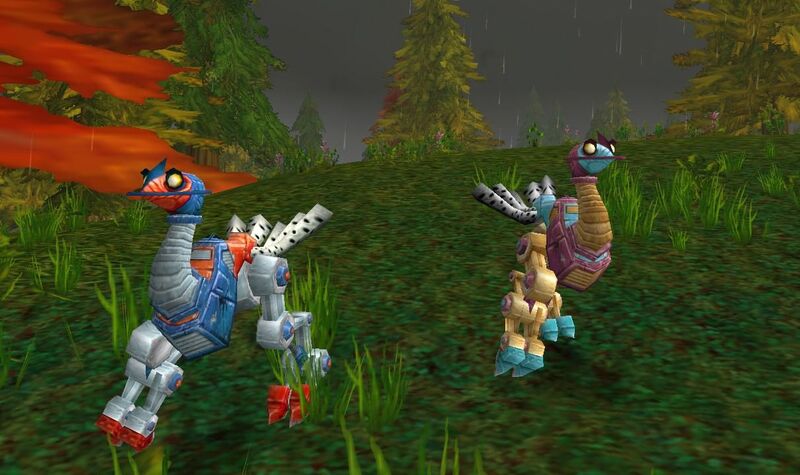 Optimo is a rare spawn in Loch Modan, where he occasionally pops up in a cave of mechanostriders and mechanical chickens. 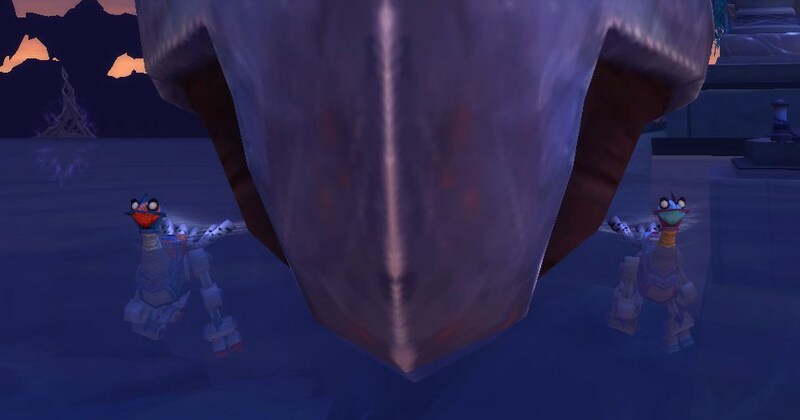 I knew from reading the WoWhead comments that I'd find him running around the cave. He wasn't there when I arrived so I popped Track Mechanicals on and had multiple heart attacks every time one of the dots moved a bit. I honestly couldn't have positioned myself in a better camping spot. I was facing a wall where I could see down two paths and low and behold he spawns right in front of me and then runs around the corner, straight into my face and starts attacking! I don't think I've ever had a pet I wanted to tame run to me before. So he is now christened as Bingpot. Which is the dumbest name ever and everyone who sees him probably thinks I'm a moron but it suits him, so there. He can be Bing for short at least. 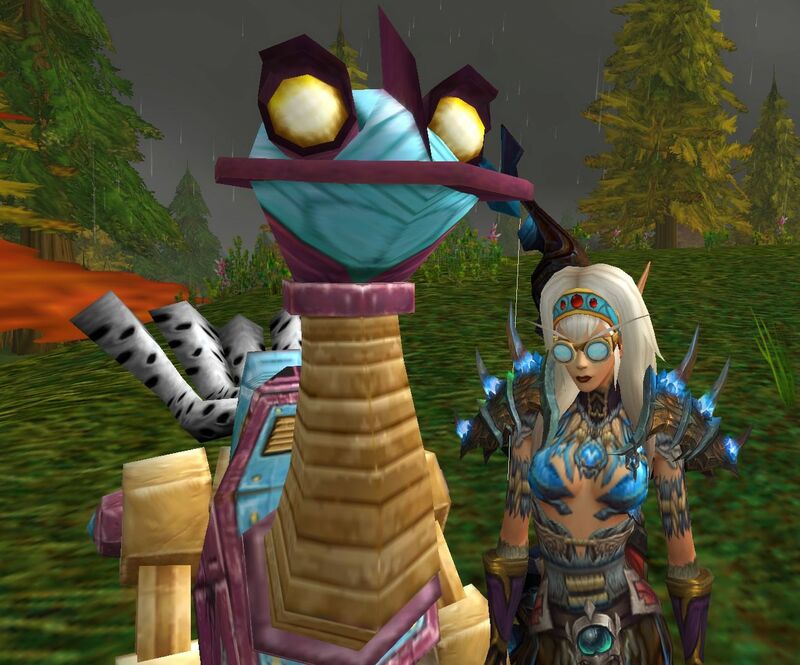 When I tamed Bingpot I honestly didn't think that I would keep him at all or even out for very long. I usually end up swapping most new pets back to Hex after a while. Mechanostriders have completely exceeded my expectations. They are just so much fun to have! 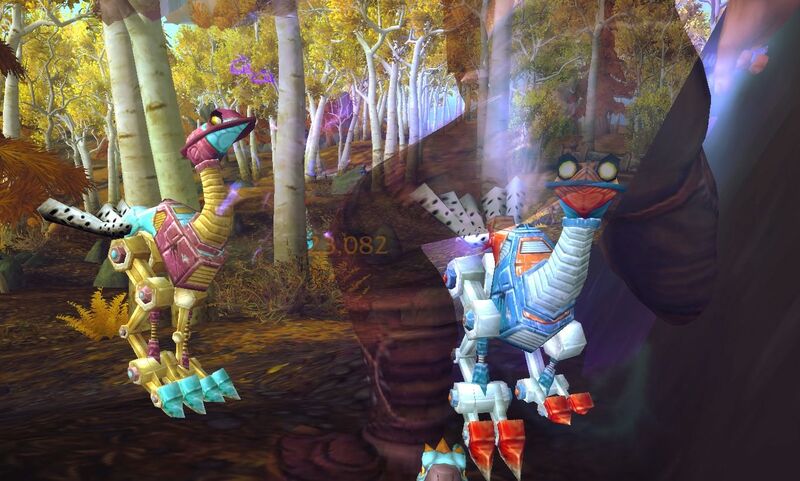 It is so strange going in to battle with a colourful mechanical bird-chicken thing. 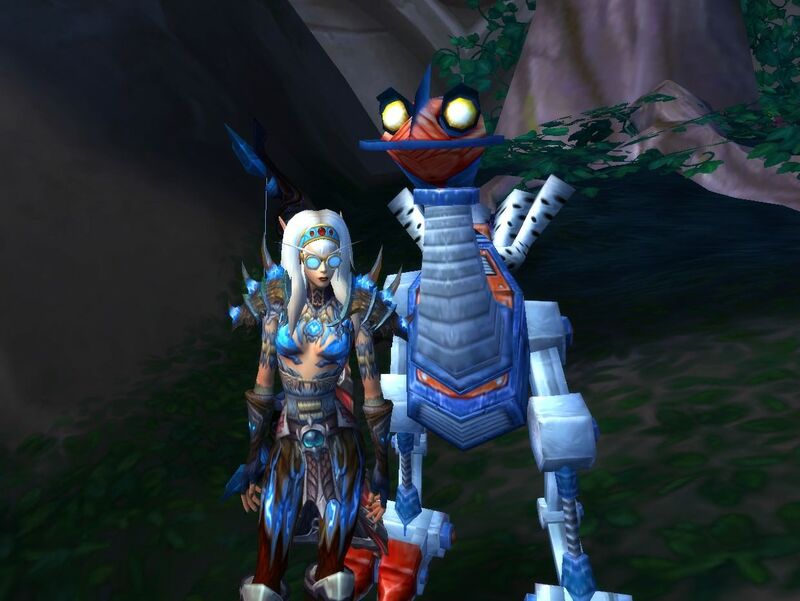 You hardly ever see people with Mechanostriders either which makes them even more special. 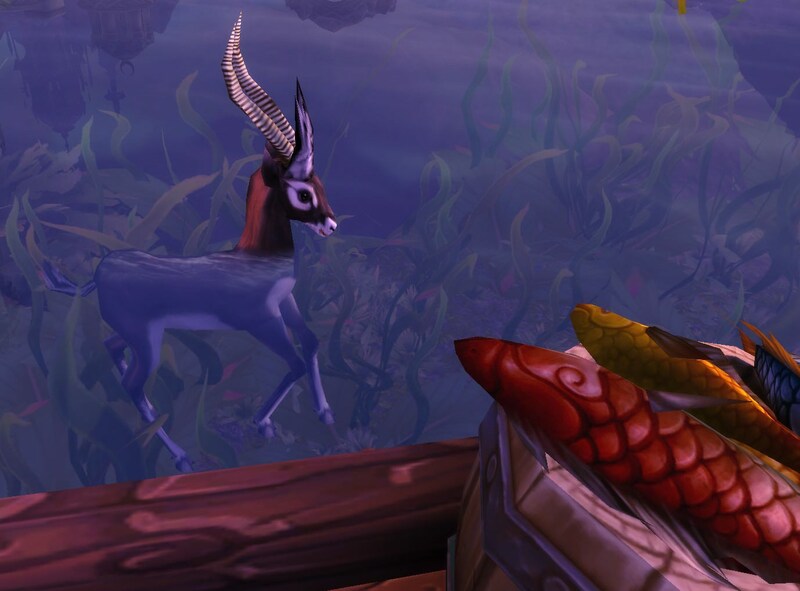 I doubted I would see them as an actual companion pet instead of a "joke" pet like seagulls or the sheep at least. I love him! 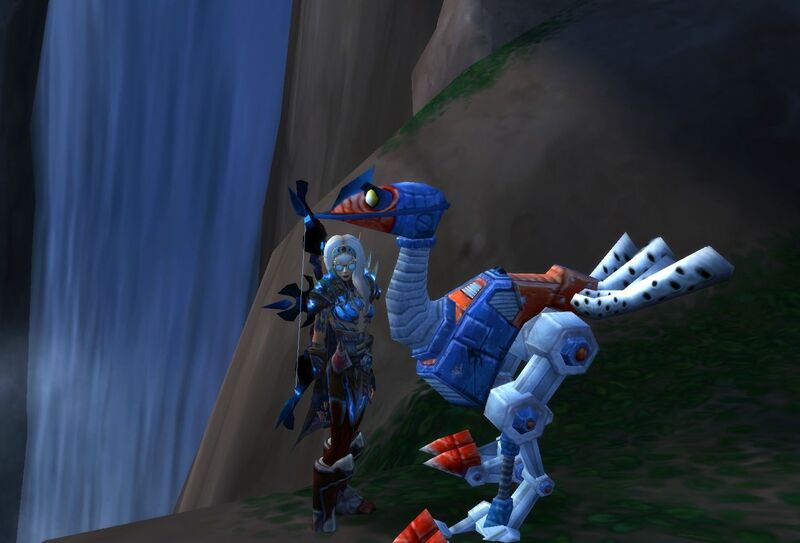 I loved Bingpot so much in fact, I decided to tame another Mechanostrider. This time the gorgeous/garish blue, yellow and purple one. The Sentient Mechanostrider. 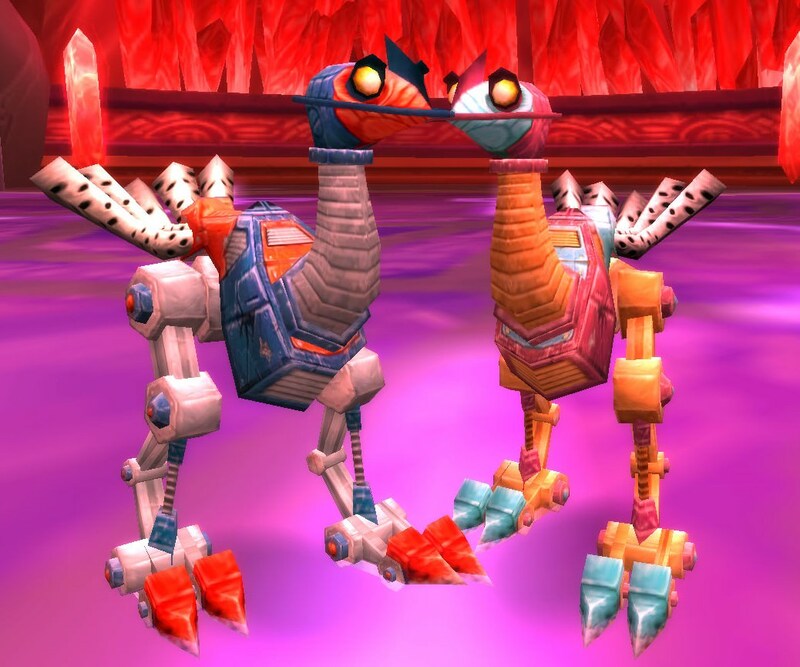 For some reason ever since I saw this pet I thought it was one of many? Like, I thought there would be loads of them all over Gnomeregan. Turns out it's actually a single pet that's kind of a challenge tame. 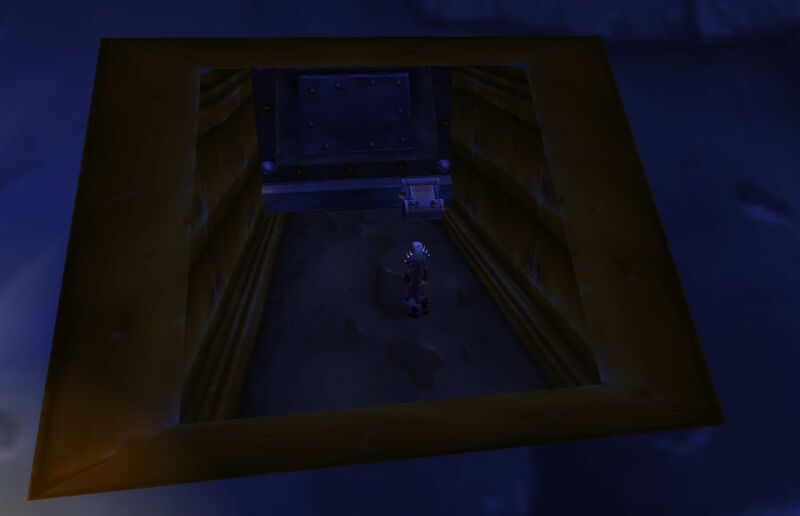 I won't go in to to many details but you have to run all over the dungeon getting access cards until you get a rainbow coloured one which will open the door to the secret room (gnome bedrooms) where it's hidden. 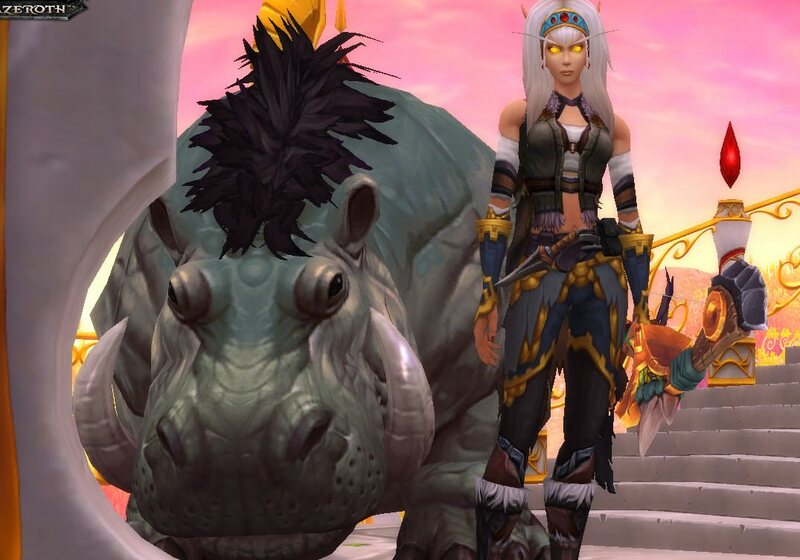 I don't have much else to say about this pair but I've been using them constantly (even if one is secretly Hati shhh) and they've jumped up to my second favourite pet to use. I think everyone should try them at least once. 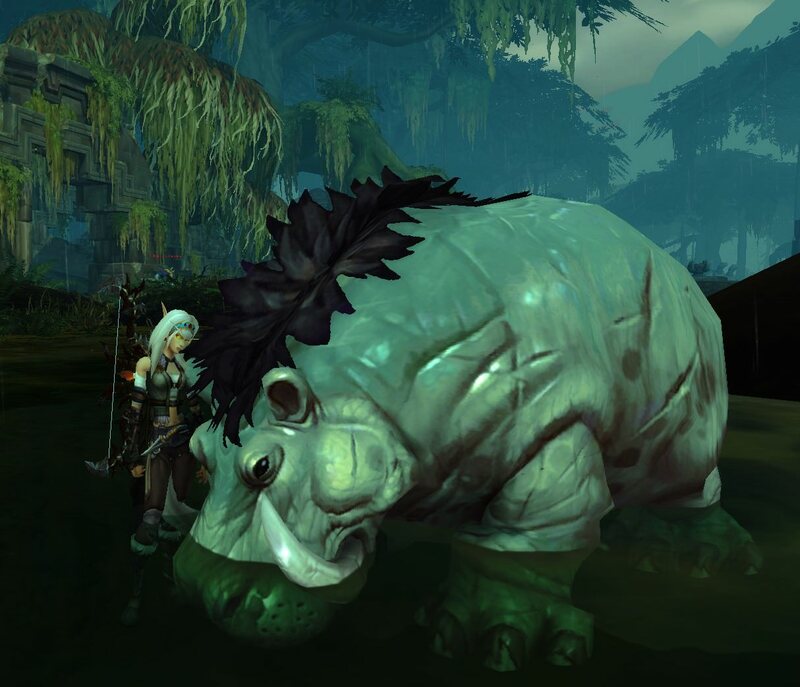 Mechanical pets don't really fit with my character as I prefer hunters being more earthy/beasty but they're too fun that I don't care anymore. Last edited by Flyra on Tue May 01, 2018 3:01 pm, edited 1 time in total. I looove their names! !! They seem to have so much personalities. It was a wonderful read! [center]Just wanted to share some new pics of the striders. Still finding them incredibly amusing and can't get enough of their tendency to stand in weird places. Even beak to beak! I adore the beak to beak picture! Looking forward to see more pictures of your adventures and tames ! Feeling pretty naff at the moment... my pc completely crashed and wiped and I've lost all my screenshots and can't play as a result.. I had about 3 more sets for entries coming up. Thank you Tarn. Guess I'm starting all over again! It was a big setback. I lost all my previous screenshots. I had many funny and amazingly timed pictures of many of my new tames raring to go but they were unfortunately wiped out when my PC crashed and died completely. I've been considering going back and re-creating a few but honestly there's so much I've lost I don't know if I have the motivation. It hasn't stopped me taking screenshots though; I do genuinely enjoy taking creative and silly pictures of my pets... sometimes I can even spend an hour posing them. 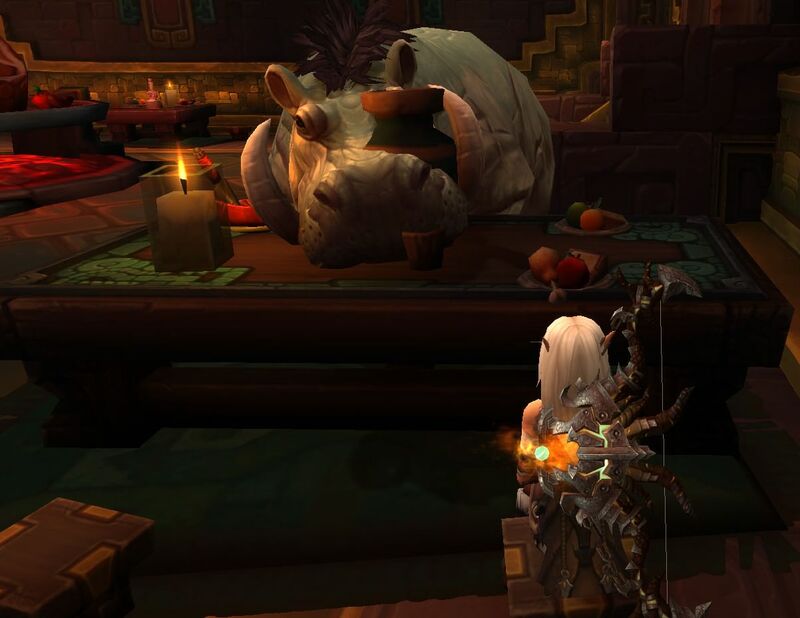 With BfA just around the corner I've had to seriously evaluate my stables. 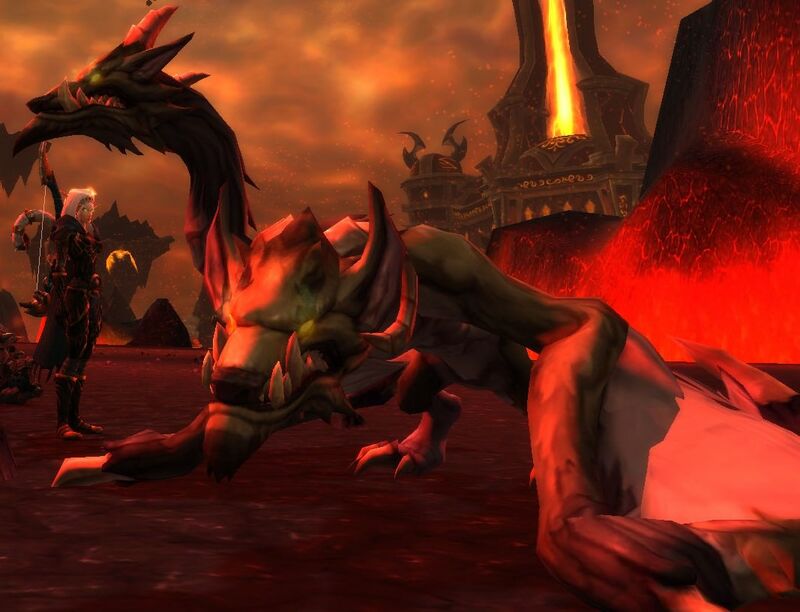 I've said goodbye to a great many pets, Solix (who I've had since Cata), Rocket, Azerre, Trouble. Even if I post about them on here sometimes it just doesn't work out. 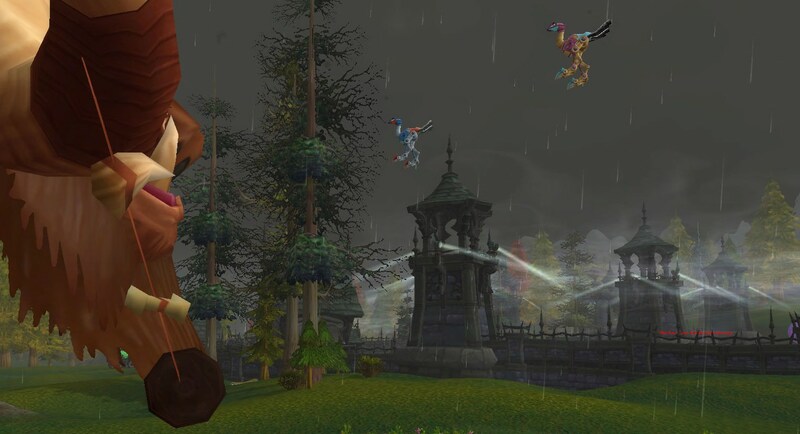 I've also tamed a great many new pets Hippogryphs, Wolfhawks, Mechawolves...none have really inspired anything. Well, none except my old and dearest pets of course. 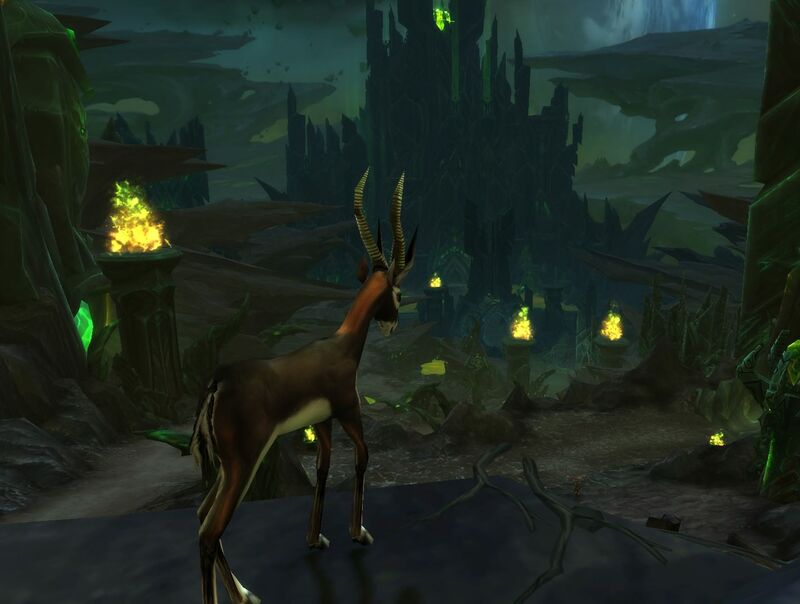 I've taken these past few weeks to really bond with my favourites, letting them experience Argus and the Broken Isles, writing stories for them, even commissioning some art! Gah, this was supposed to be a short post. I better post the screenshots before I start rambling too much. 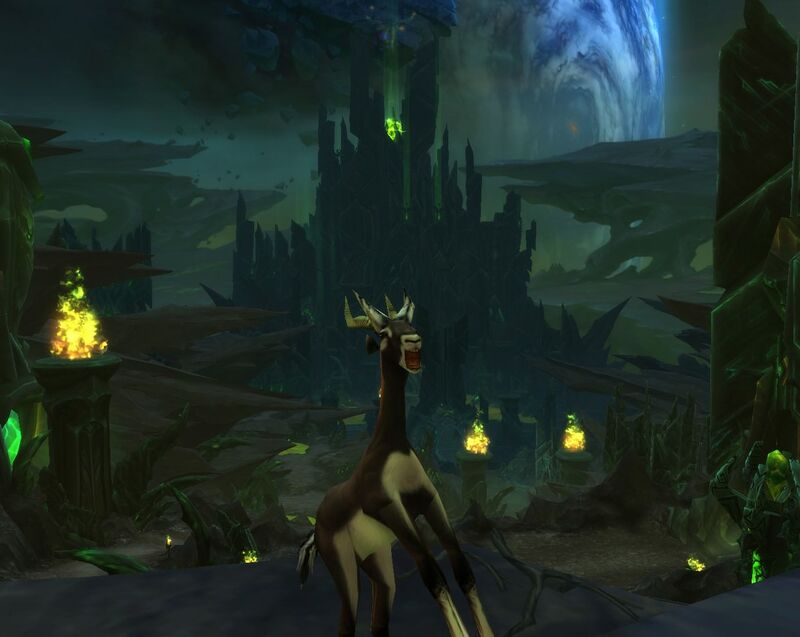 First of all, I decided to take Bandi to Argus to see what he would think of a demonic alien planet. He was not amused. "MUM PLEASE TAKE ME BACK HOME RIGHT NOW"
Novae, my dearest, sweetest, undead polar bear has been re-named Marlon. I am still very attached to him but his name has just never stuck, until now! I decided to take him with me on the long journey for the Lucid Nightmare mount. Here we are posing after finally getting it. 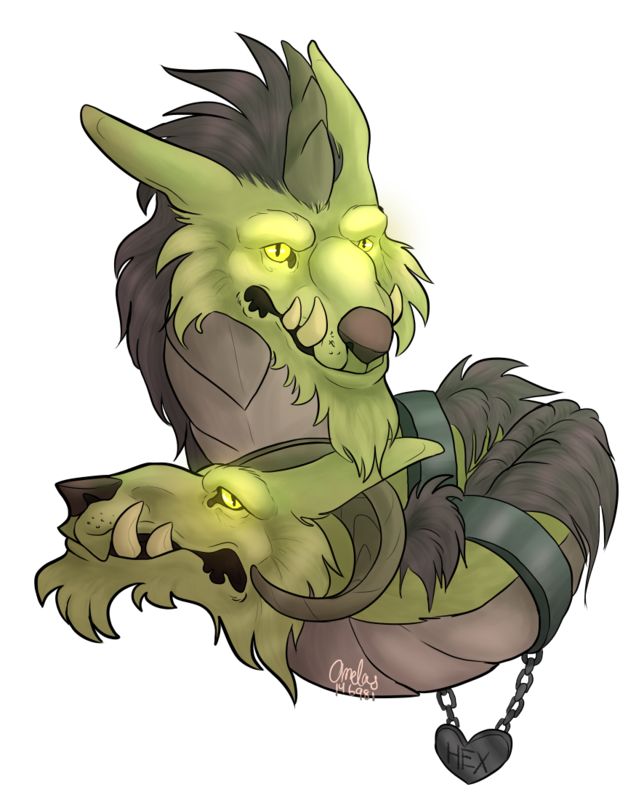 And of course how could I forget my beloved RYLAK - not a Chimera - RYLAK , Hex. I am currently in the process of making a profile for him on Toyhouse as well as writing a few short stories for enjoyment. I've also commissioned some art for him and am looking to get a whole bunch of it! 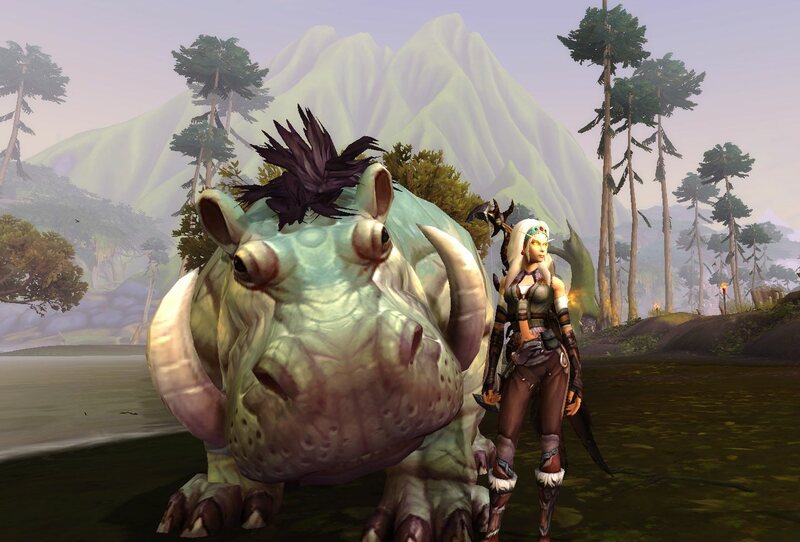 New expansions are super exciting for me as a hunter because not only is there an abundance of new creatures to tame but I also get to go on a new adventure and hopefully pick up new companions along the way. 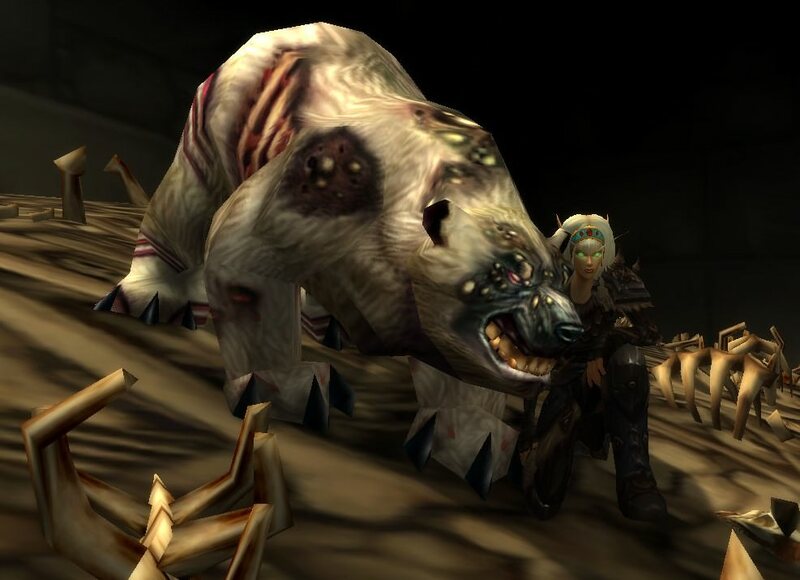 It brings me fond memories of MoP when I rushed to Krasarang Wilds to tame Bloodtooth - who then became glued to my side for the majority of the expansion. 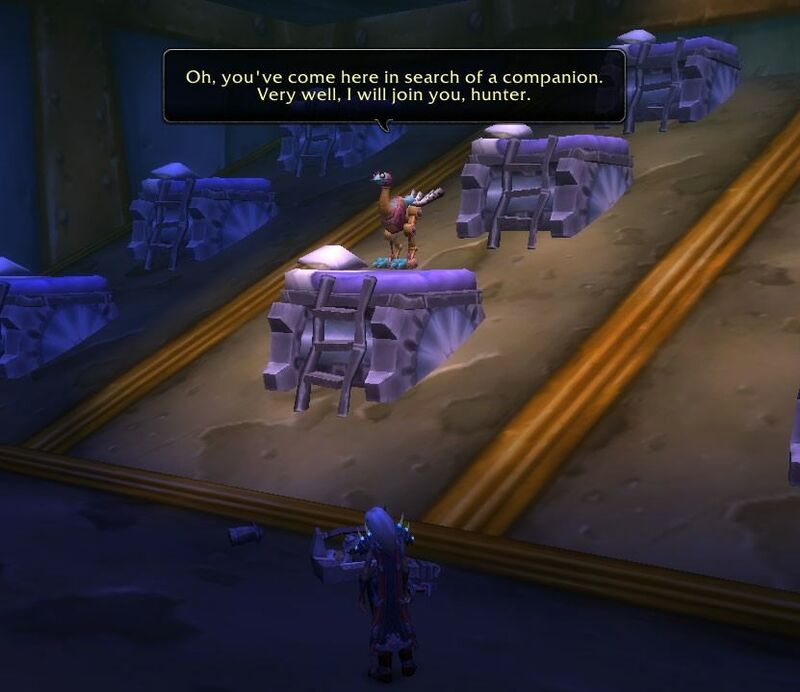 We soloed so many rares including the Warbringers as people just watched (and sometimes even tried to get us killed!). 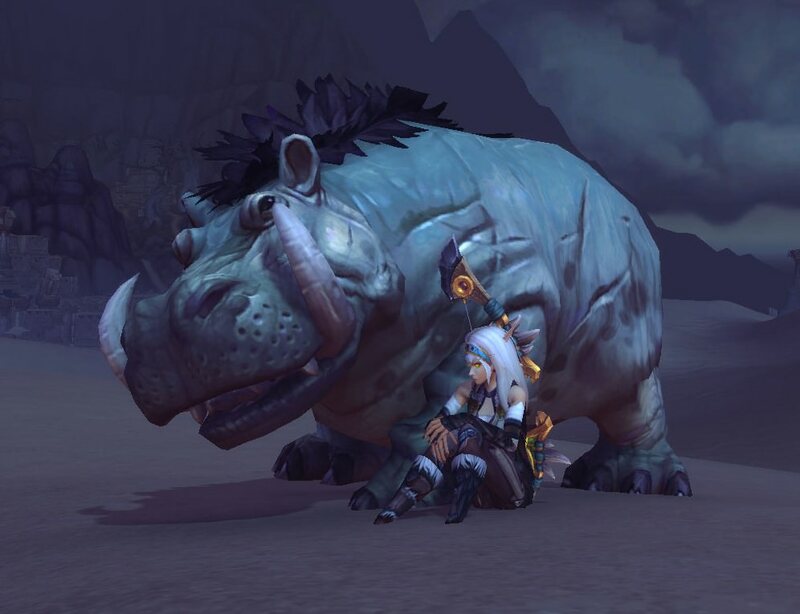 For BfA I had a full list of planned tames.. mostly dinosaurs. I've been dino obsessed since I was a kid so it was super surprising to me as I set off on my journey that a lot of the dinosaurs I planned on taming suddenly had less appeal. 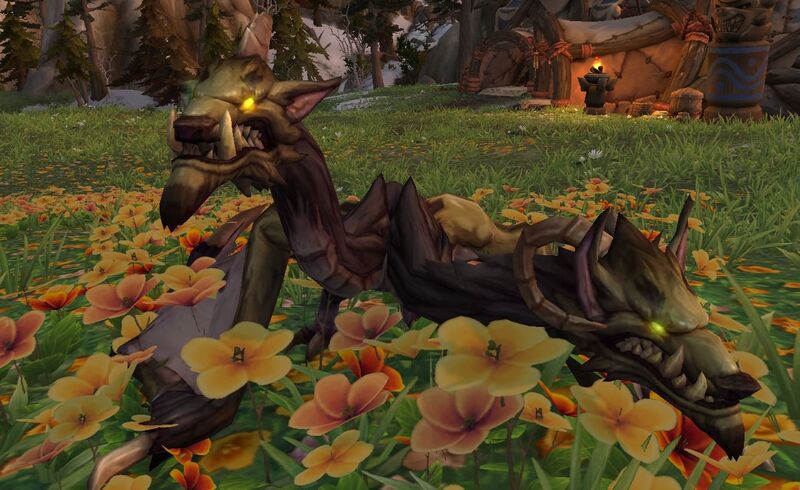 The new raptors are absolutely everywhere in Nazmir and everyone seems to have one. I wasn't particularly excited by the Saurids when I saw them in person and as for the Pterrodaxes.. well, for some reason most of the ones you bump in to aren't tamable even though they should be. 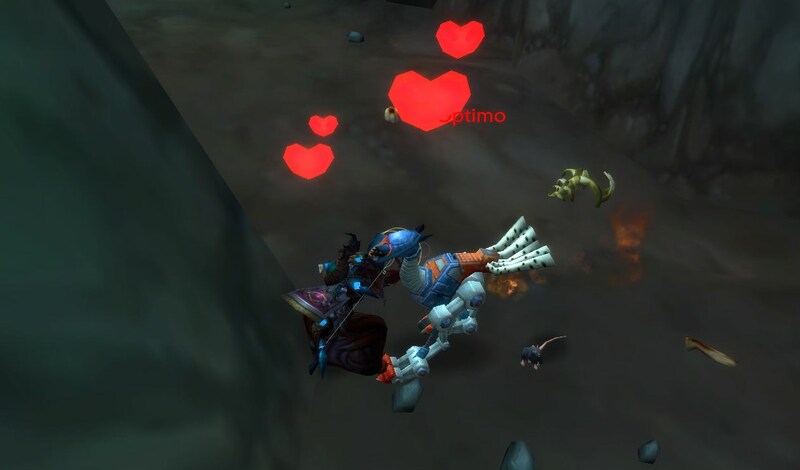 I genuinely thought I was not going to make any new friends this expac when today I came across a very strange boy. 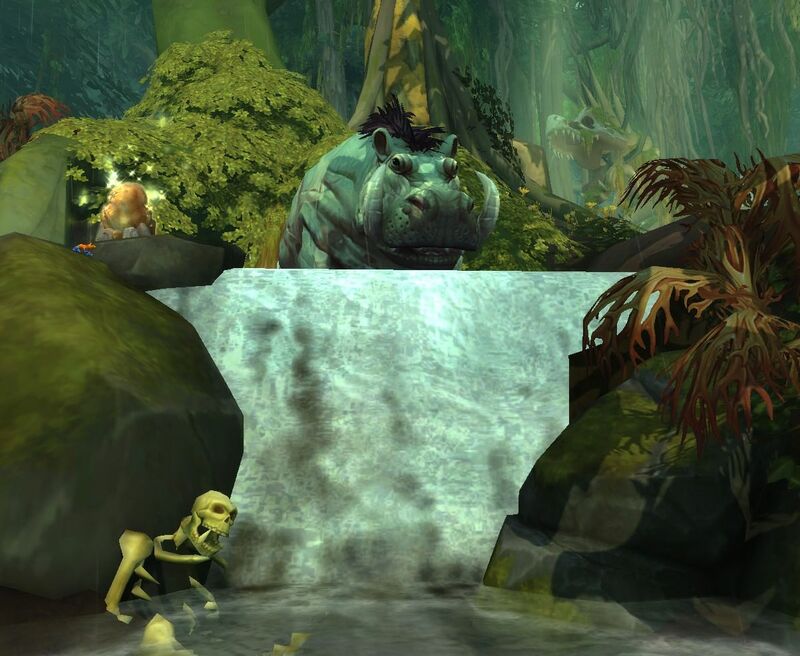 I was scouring the swamps and marshes looking for a Saurolisk Tail Nub to complete an achievement when I came across a tiny little waterfall that was seemingly the home to a very big Riverbeast. It was like the waterfall was made just for him! He was just sat there, not walking around, so I can only assume this little bit was designed to have a Riverbeast. A lovely touch to the game. I really appreciate unique little areas like this so I decided to tame this strange boy and I've fallen in love! He's so sweet! In my mind I see him as this bashful sort of character. The type of guy that would nervously ask you to prom and send you flowers on your birthday. Shy, but also very polite. I absolutely adore his colouring. Again he's one of those creatures that just look better in-game. He's not just green, he's got brown tones on his underbelly and even blue flecks on his back that come up almost bio-luminescent in certain lighting. The thing I like most of all about him just has to be his little waddle. The Riverbeast model shares the same skeleton as the Direhorn model, so he does that scuttle along the ground. Honestly, I've always hated that scuttle but for some reason these new Riverbeasts, probably because of their size, just seem to make it work. I adore how he just potters along. Hence his name! I figured Potter would fit the best. He potters along and he's a hippo-potter-mus! I have to admit because of the direhorn model his fighting animations look really weird. Like he keeps doing the tail swipe/slam animations when he doesn't have a tail so he just looks like he's twerking in combat. I still really adore him though and he'll definitely be with me for most of the expansion. He's already got a few admirers and has definitely stopped a few people in their tracks! 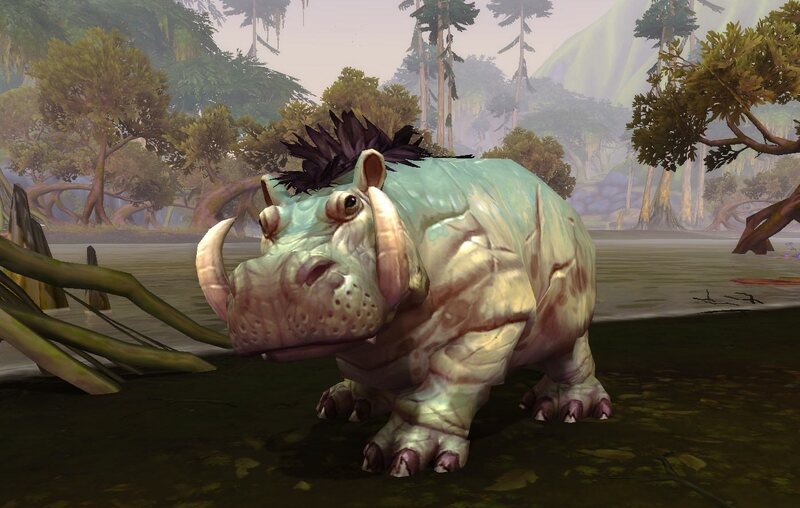 Ah, looking forward to when I get my own twerking hippo You are making me rethink my color choice! Ooooo what colour are you planning on taming?! They're all so stunning! I could have sworn I saw a rare Hippo in The Frogmarsh that was pink but wasn't tameable today so we might be getting even more options. Thank you, Tarn. Can't wait to see more from you too!